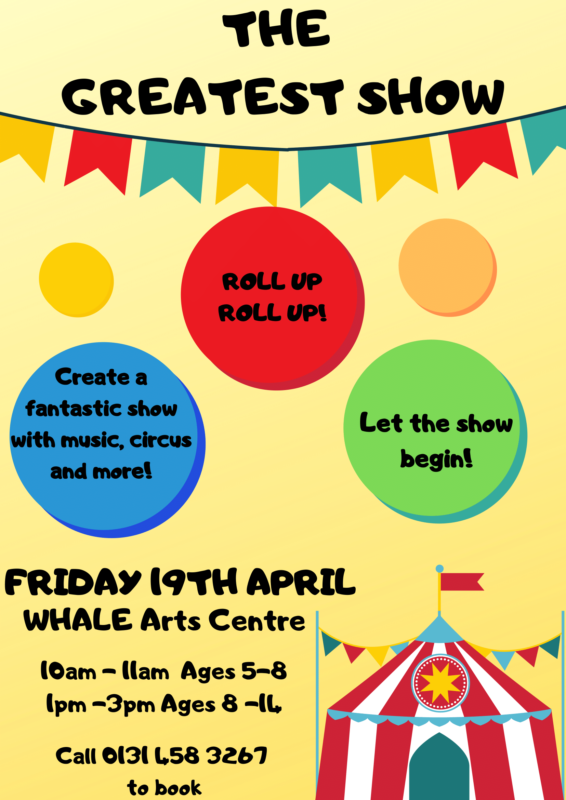 Roll up Roll up and join WHALE Arts to put on the Greatest Show, at a special session full of music, circus and more. Young people are invited to take part in a special session where they will learn new skills and put together a show for their parents and carers. Places must be booked in advance. For more information or to book your place contact WHALE Arts on 0131 458 3267 or info@whalearts.co.uk.